I do applied research on learning through play and open-ended creativity. I created the LEGO Idea Studio at LEGO Foundation. Previously I ran the Scratch online community in the Lifelong Kindergarten Group at MIT Media Lab. I want to create powerful invitations, environments, and communities for children to be creative. Here is my instructables profile. My first name at amosamos.net is a good way to contact me by email. I created the LEGO Idea Studio, an applied research lab in the LEGO Foundation Centre for Creativity, Play, and Learning that develops open-ended learning through play activities with technology. I joined the design team to help develop the learning through play aspects of the hands-on experiences and co-authored the LEGO House learning through play design manual. My colleagues and I from the Lifelong Kindergarten group at MIT Media Lab made a drop in LEGO-based Maker activity for the 2014 MIT Maker Faire. We documented our process on Build in Progress. 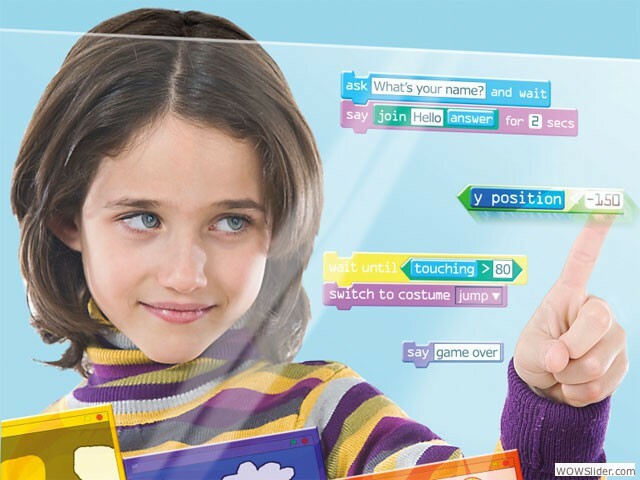 Scratch is a tool for creative expression with programming and an online open-source community for kids. I helped grow Scratch from 10,000 monthly contributors to 110,000. I wore a lot of hats: I designed and deployed community policy and volunteer programs, managed moderation and development teams, built servers, and helped pull-off the transition to Scratch 2.0. 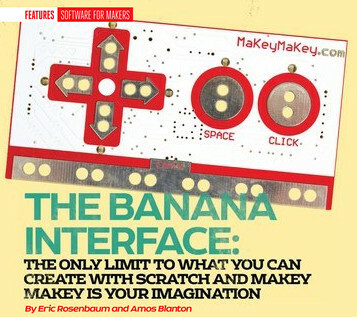 Eric Rosenbaum and I co-wrote an article for Make Magazine titled The Banana Interface, featuring my son Lander showing off his rocking-horse trick-riding skills. MaKey MaKey lets you turn everyday objects into a keyboard for your computer, so you can build a banana keyboard, or play Super Mario bros with play-doh. 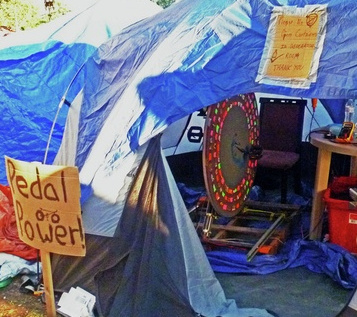 During the early days of the Occupy Boston movement there was a need for electricity in the encampment. I provided a pedal power generator I'd built based on plans by David Butcher, with help from members of Sprout. Together with other volunteers, I helped maintain it and develop strategies for distribution. You can find documentation about this project here. 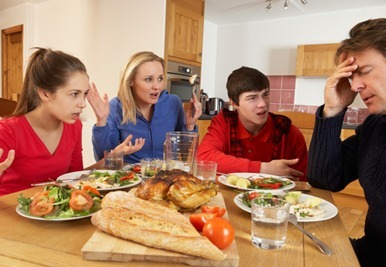 Structural family therapy was developed by Salvador Minuchin and was one of the earliest therapeutic modalities to identify problems caused by dysfunction in systemic relationships between people, rather than properties of the individuals themselves. I worked as an individual, couples, and family therapist for three years. I refit a Diesel Jetta to run on straight vegetable oil, and gave several workshops on how to make biodiesel (in a blender) at local libraries. I designed and led a workshop funded by the Captain Planet foundation in which 15 adults and teenagers converted a farm tractor to run on vegetable oil. The exhaust smells best when you use discarded oil from Chinese food places (unless you really like the smell of french fries). Wrote a thesis on Chaos and Complexity in Individual and Family Systems. The social sciences tend to base their thinking on structures and metaphors borrowed from the physical sciences. Newton's ideas are very powerful, but we are much more than bodies in motion (and much more complex). Psychology would benefit from a deeper understanding of the new science of complexity, especially when it comes to understanding how small changes can have big effects. You can read more here. I've worked as an advisor at Not Back to School Camp off and on since 2002. NBTSC is a week long overnight camp for home / unschooled teenagers. I'm constantly amazed by the wit and intelligence of children who are empowered to create their own education. 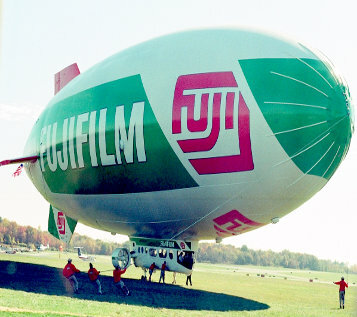 After I got out of college I decided to follow up on my love of Airships, so I got a job as a groundcrewman on the FujiFilm Blimp. I saw it crash and worked on the rebuild, and got to clean the top of it with a squeeze mop and some dish soap, stem to 200 feet to stern. Flying in a bliimp is like sailing through the atmosphere at a stately pace. It's very relaxing, provided you avoid getting near the ground. When I was in 7th grade, I roasted in my social studies classroom, especially during the Winter. The teacher would leave the windows open and that would help, a little. But the radiators in the room never stopped pouring out heat. When I asked her why she didn't turn the thermostat down, she explained that it was because the thermostat was in the school district administrative building, some 20 miles away. She'd already called to ask them to adjust it, but from the look on her face and the heat in the room, the result wasn't satisfying. The policy that led to the boiling classrooom - and the infrastructure that implemented it - was created by people we never met, and couldn't effectively appeal to. But the principles of their design, explicit or otherwise, were easy to guess. They, or the system they created, was judged to be the correct arbiter of temperature in the classroom. Context, like the actual temperature in the room or the experience of the people in it, was not relevant. In his book Seeing like a State, James C. Scott describes a similar situation in a different realm. The subheading of the book is "How Certain Schemes to Improve the Human Condition Have Failed," and this is what he spends most of the book describing in great detail. From the forced collectivization of Russian agriculture in the early 20th century, to the displacement and "Villagization" of Tanzanians in the 60s, each example describes a modernist scheme imposed by the state in the name of improving the legibility of its population and resources. This is in turn used in an attempt to create measurable, controllable outcomes based on modern, industrial principles. The common thread is a state that is willing to radically re-structure the lives of its citizens, usually with the best of intentions, and citizens who are too disempowered to effectively resist. They end up inhabiting structures and systems which are "improvements," but only on paper. In reality, they are spectacular failures for all parties concerned - both when measured objectively in terms of productivity, and in terms of the subjective experience of the participants. The abstract principles behind the design are judged to be so powerful as to make local context, like actual soil conditions to name one example, irrelevant. As I read the book, I was reminded of my own experiences in public school, and the ones I hear about today. Teachers are charged with fulfilling a curriculum that is devoid of any local context, made by people they've never met and have no channel to appeal to. In this role they are more like technicians than educators: their job is to implement what the experts have proven is best. Driven by high stakes testing, they have little to no agency with which to modify the agenda in order to address the context in the classroom. And when they cannot succesfully implement that agenda, they are held "accountable." It doesn't matter what they think about the curriculum, or about the temperature in the room. There is a perfectly good thermostat controlling the temperature, in the school district headquarters, miles and miles away from the classroom. "Yet a man who uses an imaginary map, thinking that it is a true one, is likely to be worse off than someone with no map at all; for he will fail to inquire whenever he can, to observe every detail on his way, and to search continuously with all his senses and all his intelligence for indications of where he should go." Our world is built on the notion that we can make choices and do things in ways that yield predictable outcomes, according to formulas of the kind you might use to map the trajectory of a cannonball, or a spaceship traveling to the moon. We don’t always know the “true” formula for some things: like education, for example. But it’s an unspoken article of faith that the formula exists - that there exists a best way. Once discovered, it will be predictable, obvious, and repeatable independent of context - a ‘calculus’ of education. There is evidence for this in the ongoing public dialogue about education itself. Every few years, a new “breakthrough” solution is found which promises to change everything. Currently the talk is about charter schools and breaking up teachers unions. In the early years after the turn of the century, it was about evidence based approaches, and running schools like businesses. The rate at which these solutions are born, adopted, and fall away suggests the desperation of gamblers convinced that they will get lucky the next round, in spite of the evidence that they have been steadily losing for years. We have good reasons for this kind of thinking: it has allowed us to become fantastically successful in technological realms over the past century. Theories that allow us to predict and control physical outcomes are what made it possible for us to put a man on the moon, among other great (and not so great) achievements of recent history. So when I criticize that kind of thinking, it’s not as if I’m saying it doesn’t work, or is somehow false. It isn’t: those guys really did walk on the moon. What I am saying is that the kind of thinking that got them there and back again will not work to educate our children. A global, context-free calculus of education does not and will not exist. Continuing to search for it is to spend our resources on a fantasy, and distract ourselves from the work of education in context. In his book Making Things Work, Yaneer Bar-Yam suggests that in order to be effective, systems must match their complexity to the scale of the environment in which they are designed to operate. Their ability to perform their function successfully depends on this relationship to their context. A car is designed for relatively large scale movement, and depends on a relatively low complexity environment: a well paved road. As the complexity of the environment increases, the scale at which the car can move decreases. A dirt road is more complex than a paved one, and so the car must move more slowly. A Formula One racecar requires an extremely smooth surface; a jeep can handle greater environmental complexity at the expense of speed. Let’s imagine two environments: an inner-city, riddled with drugs and a long history of violence, and a suburbia with low crime rates. Like all environments, these influence their inhabitants in essentially Darwinian ways: in large part they determine what actions and ways of thinking are successful, and which are not. Both are human social settings, and therefore necessarily complex. But the stakes are significantly higher for children living in the inner city. Failing to manage the social environment in suburbia may result in hurt feelings and psychological strain. An equivalent failure in the inner city may result in the child being murdered. Suburban children are like Formula One racecars: they live and operate in environments of lower complexity. There is enough stability and an abundance of resources such that their attention is free to focus on abstract pursuits, without fear of encountering giant potholes or felled trees. Inner city children lack these luxuries: their environment is more complex, and requires greater resilience. But our system of educational assessment does not take environmental context into account. It’s as though a jeep, designed for resilience in the face of rough terrain, and a Formula One racecar, built for speed on simple terrain, were both judged on the criterion of speed. In assessment circles, this is analogous to “IQ,” or the ability to manage abstract, de-contextualized information. The assessment itself happens in a low-complexity environment: a silent classroom that favors the racecar over the jeep. It would be interesting to administer the same tests to both suburban and inner city children, but in an open-air inner city drug market - a “corner” - and examine the resulting achievement gap. In general, the American system of public education suffers from a mismatch of complexity and scale of intervention. Curricula are increasingly designed around standardized tests based on the idea that what applies to one child applies to all of them. The assumption is that all children have a relatively low degree of complexity, and that we can therefore intervene with them on a large scale with massive learning programs designed by experts who are removed from the contexts in which the students live. Because this approach works for some students (in some contexts), then if it does not work for others, the system concludes that the failure is due to the student's lack of ability. Recently I received a frustrated email from a parent whose 8 year old son had received a rude and unconstructive comment on his first Scratch project. Thankfully, this is rare on the Scratch website. But it's a problem that all online communities must grapple with. There are different explanations as to why so many comments on the interwebs tend to be unconstructive, inane, and cruel. I suspect it has a lot to do with the disembodied, anonymous nature of text-based communication. Your average mean commenter wouldn't be so mean if he knew, deeply, who he was commenting to. I've known quite a few 13 year old boys who were quite capable of saying cruel things to other 13 year old boys, but most of them would take it easy on an 8 year old. On the internet, they don't know when they're talking to an 8 year old. That context does not get communicated. Information like age and technical experience is easy to gather in person, but even if we wanted to make that information available to attempt to inspire empathy, there are regulations and best practices (designed, ironically enough, to protect the safety of children) that would prevent us from doing so. It's also not clear that indicating textually that "You are commenting to an 8 year old" would get close enough to the effect of putting the commenter in the same room with the 8 year old. Empathy is an emotional response; I suspect that the conditions for it cannot be created by providing intellectual information alone. So online communities that value respectful discourse end up trying to enforce an abstracted code of morality - a "You should just be nice / civil to everyone." But there is no real encounter for us to point to, no situation in which the un-constructive commenter can witness the effect of their actions on a real person, perhaps experience empathy, and maybe even gain a little humility. We advocate and attempt to enforce a global, abstract "You should be nice", instead of a local, immediate experience of an encounter with a real person. I suspect that real life encounters, and the resulting awareness of the effects our actions have on others, are what teach us to be careful with our words. I would rather depend on these over an abstraction like politeness. Until we can identify and transmit all that experiential information over the webs, we'll have to continue to stand on principle; but only because there is no experience to stand on. When you say someone is "really Christian," what do you mean? I would understand that phrase to mean someone who is very conservative with regards to their beliefs, cleaving to a fundamentalist or rigid interpretation of the Bible. In other words, "really Christian" is defined by the conservative religious right in this country. This implies that the liberal tradition of Christianity is somehow less than "really" Christian on the spectrum of Christianity. Having known some very gentle people who call themselves Christians, I often wonder why they are not the ones we think of when we say "really Christian." After all, the definition of Christian is one who aspires to be Christ-like, to exemplify the teachings of Jesus. The thrust of Jesus' message seems to be one of love, humility, and forgiveness; "Let he who is without sin cast the first stone." But this message seems to get lost in the noise of the angry, self-righteous, stone-throwing rhetoric I hear from the people we think of when we say "really Christian." How did "really Christian" become what it means (at least among most people I know) today? Take this computer screen, for example. Plato might say that its "screenness" depends on how close it is to the the abstract Form "computer screen." Plato's idea of Forms is a metaphysical theory, but it can also be used as a theory of thinking. Let's imagine that our minds operate as though these ideal forms exist (whether they actually exist outside of us or not). In that case "really Christian" means "close to the ideal, or 'Form,' of a Christian." Today that form is defined by the conservative Christian right wing movement - a movement represented by mostly white, mostly angry men who are often telling others how they should think or believe. For me at least, these people define the form of what we call "really Christian." It reminds me of the way people talk about coffee. Coffee that has not been decaffeinated is sometimes called "real coffee" or "leaded." This usage seems to indicate that it is legitimate, real, robust, and effective. The idea of "leaded" being an adjective to describe strength and potency seems to harken back to the days of leaded gasoline. I guess it's rooted in the belief that the leaded gasoline of old was more powerful and effective than the unleaded fuels common today. 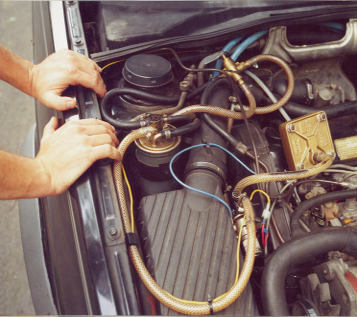 Adding lead to gas helped with engine knocking, the price of which was to make engines wear out quicker (free metal in an internal combustion engine just isn't good for it). The unintended consequence was to spread lead, a neurotoxin, around the places where we live, harming the development of children who get too much of it in their systems. So saying "This coffee is leaded!" is kind of like saying "This coffee is strong; it will wear my body out prematurely, and reduce the IQ of my children!" In both of these cases, the thing that defines the "very" or "really" end of the spectrum tends to skew towards that which is more masculine, more potent. The Form becomes defined by the most aggressive, the most powerful (even if it's so powerful, it's potentially harmful), and, in the case of Christianity, the most bellicose. Why do we do that, I wonder? If one considers stories to be meaningless entertainment only, then the narratives we give our children don't much matter. But many have pointed out, Joseph Campbell among them, that these stories make up the mythology of our culture. They provide the metaphors with which the child can model and make meaning about their experience and their world. What then for my generation, suckled on a steady dose of Smurfs, He-Man, and The Transformers? Or for today's kids, who absorb huge doses of Sonic, Naruto, and other manifestations of the BBGE? I'd argue that many of these stories are the narrative equivalents of high fructose corn-syrup soft-drinks. Empty calories for the mind. The BBGE isn't very useful for apprehending complex problems. It suggests that the important job for us is to figure out who are the good guys, and who are the bad guys, and then help the good guys fight the bad guys. So democrats attempt to cast republicans as the bad guys, and the republicans attempt to cast the democrats the same way. As each faction works harder to define themselves against the other, compromise becomes synonymous with complicity with evil. Would Papa Smurf compromise with Gargamel? Never - and if he did, he'd be a fool (Gargamel is a bad guy!) The hyperbolic political rhetoric that's become so common seems very similar to such stories. What effect would more complex, nuanced narratives told to our children have on the growth and development of our culture? Hayao Miyazaki's stories generally fit that bill (as do many of Ursula K. LeGuin's). In the film Princess Mononoke, the normal BBGE narrative is frustrated by the fact that 'bad guys' sometime do good things, and noble nature is sometimes cruel and violent. It doesn't provide conclusions that can be used to oversimplify our world. Perhaps the idea that there are not always simple conclusions is itself a valuable conclusion, an idea worth exposing our children to. This website is based on a design template created by QBKL. The image at the top is Sudden Shower at Imai Bridge, by Kawase Hasui.